Wanna dine with a theme around? 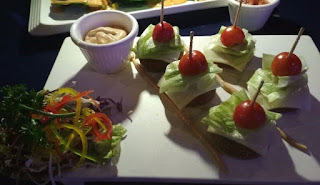 Than just head to India's 1st and only Casino theme Resto Bar situated at Malad (west) Mumbai. Believe me its just amazingly mindblogging!! 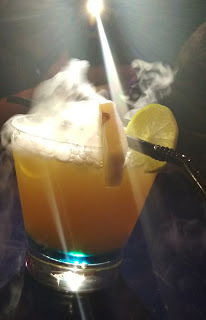 I recently visited Kasino Bar a lovely place and believe me it really goes with its name totally!! 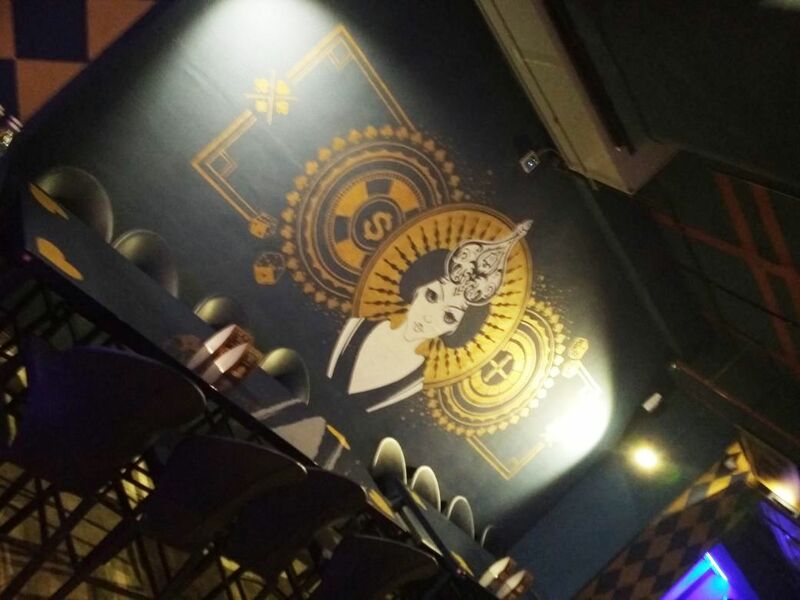 There are Card layouts on the roof and walls and different card suits on the tables really is prefect and goes with its name "Kasino Bar". Talking about music yes this place has the bestest Bollywood hits DJs which will surely make you dance to its tunes!! It even has a huge dance floor where one can enjoy and dance madly!! Just loved the music and the dance floor! The food here is just mouthwatering. Its fusion food with an Indian twist. 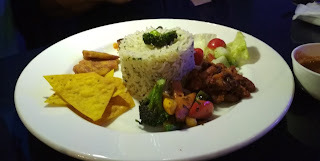 I tried many dishes and this is my experience on whatever i tried. 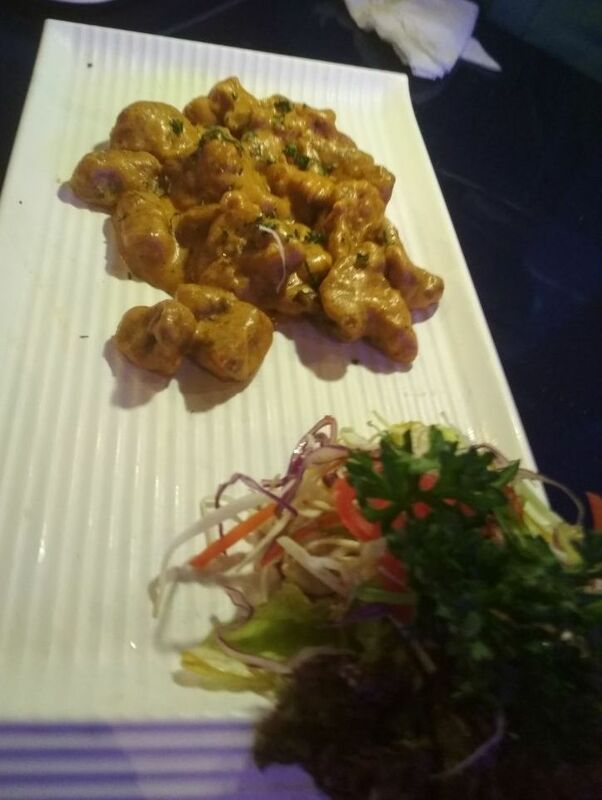 And believe me you will surely come here again and again as it serves amazing food with mesmerizing ambience! 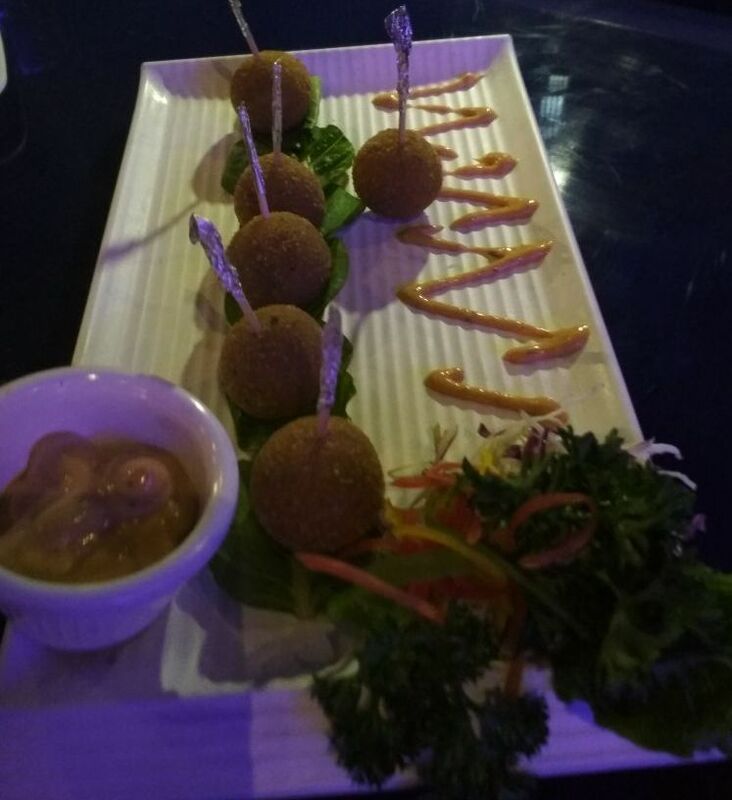 Papas ala saif: fried potato discs , topped with yellow pepper cheese sauce & black olives. Chef saif ^ signature dish. Was a very good dish. 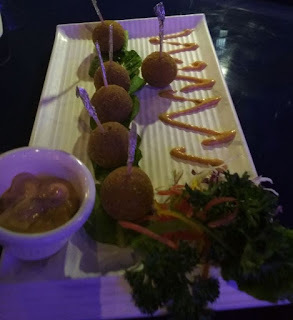 Tiny potato cheese lolllypop: It had Spicy mayo, mini mashed potato cheese balls mixed with shallots , parmesan cheese, garlic powder , black pepper , stuffed with mozzarella cheese , coated with breadcrumb n fried . Served with spicy mayo made with mayonnaise, chipotle & gochujang( Korean hot pepper paste ). The lollypop was soft and crispy from inside. It has nice garlicky taste. Spicy chipotle mushroom: button mushrooms tossed in olive oil with onion , garlic, in spicy chipotle pesto sauce ( chipotle pesto is made of chipotle chill,, parmesan cheese , almonds, red bell peppers , garlic, black pepper, olive oil , tinge of tomato) The icing on the cake was surely the pesto sauce. It was just marvellous!! Sambal cottage cheese: Cottage cheese cubes , tossed with onion, garlic, bell peppers, in spicy sambal sauce tipped with green onion n cilantro. It had superb Asian flavours which was very tasty. Harumaki: Japanese spring roll stuffed with bean sprouts , mushroom , carrots, cellophane noodles tossed in sesame oil with ginger, garlic, soy sauce, black pepper, pinch sugar , sake ( sake _ pronubciation saa_ kay, is a Japanese rice wine. 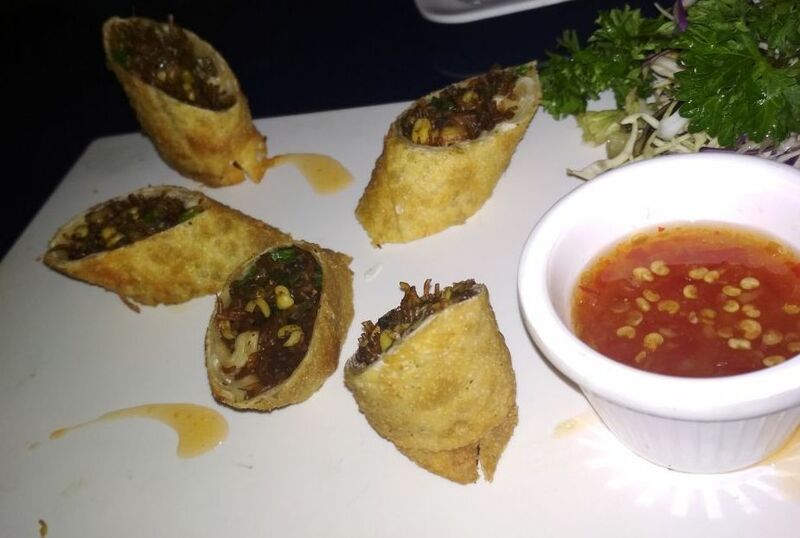 It was not a typical spring rolls but something very very unique. 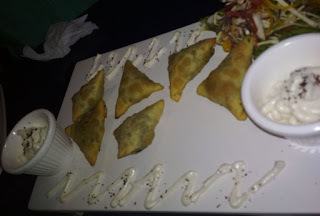 Fried fatayer: middle eastern pie or samosa _ generally it's baked but here they fried, samosa dough stuffed with spinach, feta cheese , parsley,sumac , zatar, served with tahina mayo ( tahina is made of sesame ). As i dont like much fried i liked this dish a little less. Korean cheese nachos: Spinach flavoured tortillas, topped with gochujang spiced cheese sauce ( gochujang is a Korean hit pepper paste ) , bell peppers, green onion , black olives, coriander, mozzarella, cheddar n parmesan cheese. 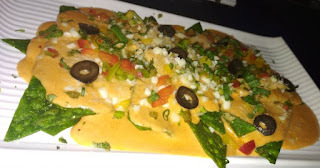 Vegan over loaded cheese nachos: Crisp tortillas layered with vegan chipotle cheese sauce( made of cashwenut , almond , almond milk , chipotle chill,) topped with spicy refried beans, chill beans , jalapeno, scallions, cherry tomato , served with tomato salsa. I liked this much more than Korean nachos. Casado: Casado means married man in Spanish. Casado is Costa Rican meal , consists of beans , tortillas , fried plantains, salad , sauteed veggies , grilled cottage cheese steak in the form of protein in tomato basil sauce. It was an truely eye catching dish in presentation and simply yummy. Vegan crunchy cake: Fried vegan cake made of chickpeas, hearts of palm, mixed with old bay seasoning ,( old bay seasoning is made of bay leaf paprika , dry mustard black pepper , celery salt , ginger powder,all spice , clove powder , nutmeg , cardamom , cinnamon , mace , sweet paprika ) coated with Panko breadcrumbs,(Panko is a Japanese white flaky breadcrumb) served with vegan mayo n tomato salsa. I didnt enjoyed the dish overall. Umm ali: It Means ali'mither. 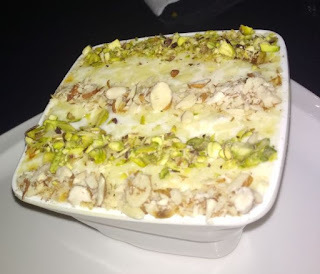 It's an Egyptian dessert. Croissants layered with milk, topped with double cream, dry fruits like raisins , pistachios , almonds , coconut flakes, layered again the same way but in the second layer the cream is layered on top n baked in the oven. It was yummy and delicious in taste. U can call umm ali a puff pastry pudding/ bread pudding. Umm ali was the first wife of of the Egyptian ruler from Ayyubid dynasty , she was killed by the ruler'•s second wife shagaret el dorr, who became furious about whose son would succeed the sultan after his death. When the sultan died , she hatched a conspiracy n got ali's mother killed in the bathroom by her maids with her slippers . So to celebrate the death of umm ali . She asked her cools to come up with the most delicious dessert n this is how umm ali came to fore. Dragon fruit mojito: It was amazingly colourful drink. It loved the overall presentation of the drink. 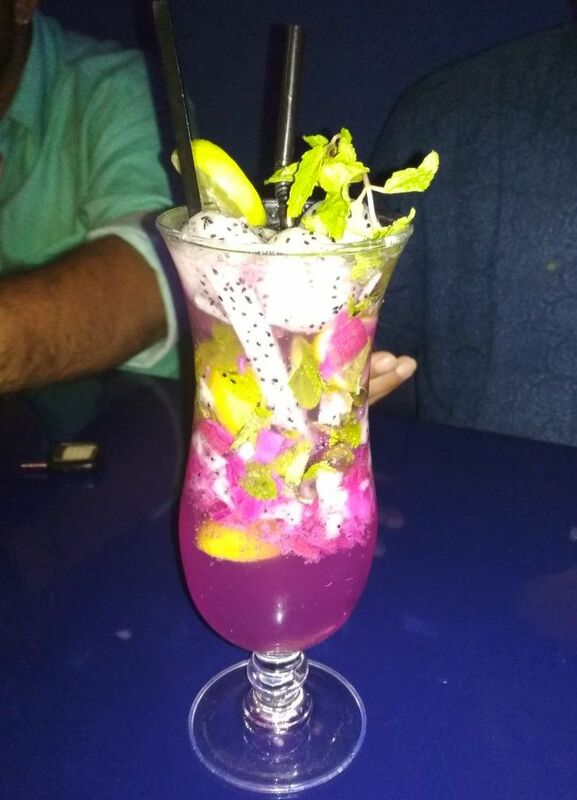 The drink was about Muddled Dragon fruit skin, mint, lemon, topped with crushed ice,sprite , Dragon fruit meat & mini balls. It was just fantastic i loved it. Jalapeno punch: This one was really spicy. Yes guys you heard it right SPICY. It was blended with fresh corainder, pineapple, cilantro, jalapeno, pineapple juice and a bit of tangy taste coming from lime juice. 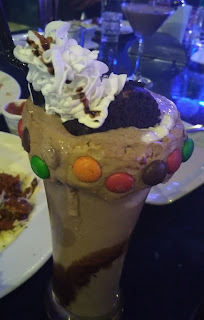 Ying yang martini ( non alcoholic ): It was a mix of chocolate syrup, vanilla ice cream with whipped cream, superbly garnished with shaved chocolate & m& m. Loved it as i love chocolate. Basil mojito: It was simple and basic with muddled basil & lime crushed ice and topped with ginger ale. 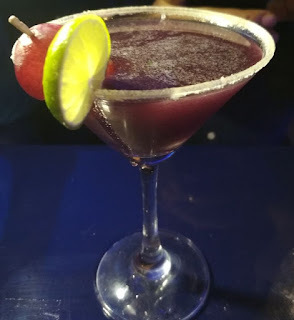 I found this mocktail a little ok ok.
Pepper black: This was mix of black currant crush , grape juice , lemon juice , black salt and white pepper. I found it little spicy. Chocochip chip cookie shake: This was Nicely Blended chocochip cookie , with some whipped cream ,vanilla ice cream, chocolate syrup , milk , topped with vanilla ice cream, whipped cream , chocochip cookie and vanilla ice cream sandwich chocolate swirl, garnished with broken broken chocochip cookie. I truely loved it as again a total chocolate buff so. It was truely yummy. 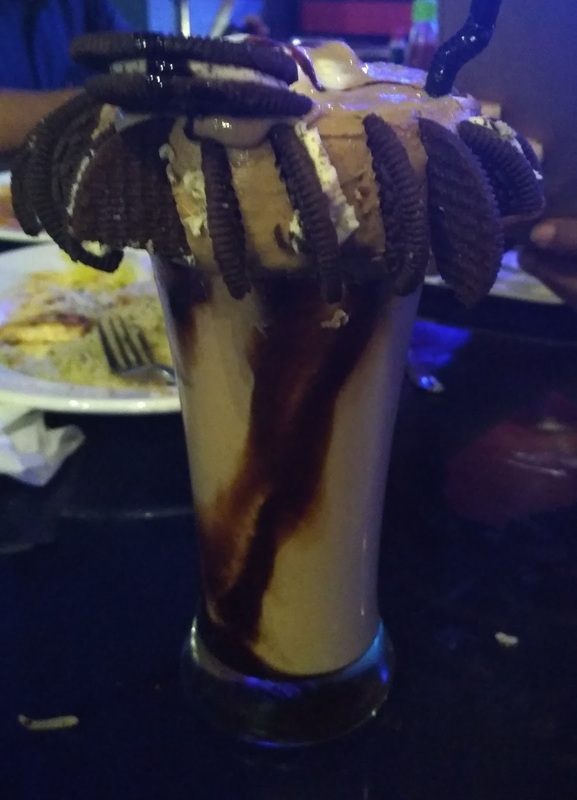 Oreo2 cookie shake: This was also good in taste crumbled oreo , milk , whipped cream, vanilla ice cream, chocolate sauce , chocolate ganach , topped with vanilla ice cream, whipped cream, oreo cookie, garnished with crumbled oreo. Kids loved it. Vodka captain Morgan: Malibu, blue Curacao, sour mix, absinthe , pineapple juice , topped with ice cubes n dry ice. Was overall decent. Cocktail _ SCANDAL : RED wine , whiskey , orange juice , ginger ale. As basic and simple. Cocktail _ pokemon evoo_ lution: Vodka , kahlua , Bailey's, whipped cream, vanilla ice cream, topped with oreo cookie. I liked it was good in taste. Flaming Lamborghini: kahlua, Bailey's, blue Curacao, flambeed with Sambuca on a tower. This was my fav. So overall an outstanding experience i had. 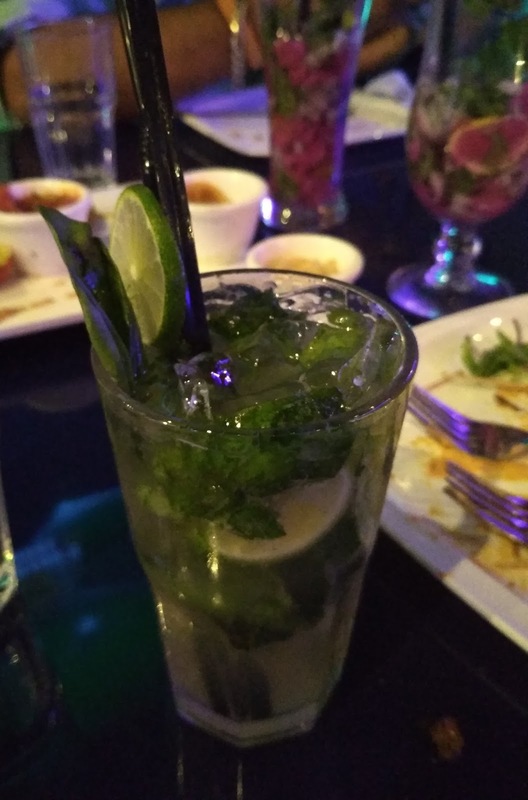 Kasino Bar is really a good place to hang out with your bunch of friends. 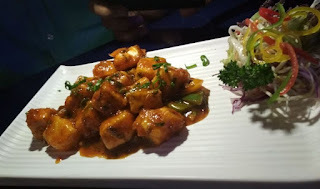 Had an superb experience and will definately visit again and even suggest everyone to go try it out. Believe me friends just dont miss this sensational place! !